A Description of Blackpool in Lancashire, Frequented for Sea-bathing, 1817. 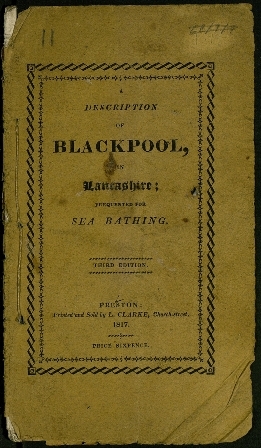 This is the third edition (1817) of the earliest known account of Blackpool. It was written by William Hutton,1723-1815.